Gurevich Fine Art warms up the gallery with Los Cubanos!, an exhibition of work by Jairo Alfonso, Francisco Núñez, and Dalvis Tulya, three cutting-edge artists from the extraordinary nation of Cuba. It is a rare opportunity to view and own works by three renowned Cuban artists. Los Cubanos! opens at Gurevich Fine Art, 200-62 Albert Street, on Friday, March 2nd, with an opening reception at 7pm-10pm. The exhibition closes March 24, 2012. Francisco Núñez paints abstract portraits. Powerful faces furtively emerge beneath strong slashes of vibrant paint against starkly composed canvases. 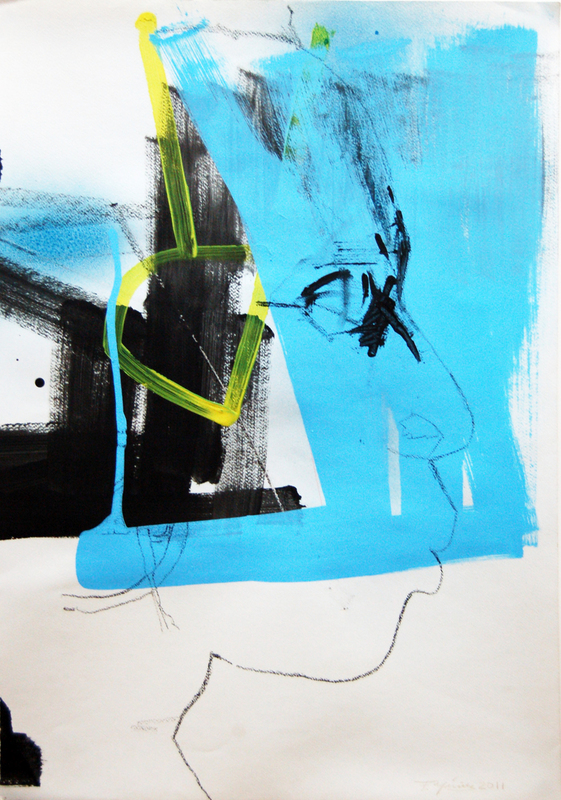 The abstract and the figurative are blended with a sort of minimalism where the drawing plays a more leading role while there is less importance for the identity of the portrayed. Yet the faces are still powerful, full of energy and depth. Jairo Alfonso balances objects and curios in tippy stacks in his coffee and ink drawings. They animated into his video installation, a collective montage of small monuments dedicated to his Cuban experience. Recently he has been exploring the symbolism inherent in objects found in daily life, and the manner in which they characterized generations, a civilization, a human group. These drawings are inspired by the Diogenes syndrome, that is, the behavior of hoarding and collecting. Objects in daily life are consumed through their use in daily life and then are not discarded. The results are “boxes” full of various clutter. This idea translates into an obsession to draw, in Jairo's object filled pieces. Dalvis Tuya’s works involve taking a step back to see the full picture emerge, and a step forward to see the tiny, repeated patterns of smaller images that form the whole. The full effect of their works together comprises small peeks into the larger experience and challenges of being nurtured in this legendarily esoteric nation. Gurevich Fine Art is a contemporary art gallery that primarily focuses on Canadian art, but has expanded its mandate to include bright, international talent. The gallery represents such artists as Cliff Eyland, Cyrus Smith, Christian Worthington, Andre Milne, Tom Lovatt, Nereo II, Doug Smith, Miriam Rudolph, Katherine Bruce, Robert Bruce, Derek Brueckner, Robert Sim, Sue Gordon, Louis Bako, Elaine Banerjee, Aliana Au, Marie-Doris Valois, and more. The exhibition closes March 24, 2012.